The intensifying pain from a very bad toothache is one element that can really destroy your weekend, and the problem usually is that this is when not very many clinics are actually open. As the weather turns warmer and the week blends into the weekend, more children get together, there are more sporting events, and more people take risks. Anything from rollerblading to hiking and rock climbing can result in a tooth injury, and they are very painful events to deal with. 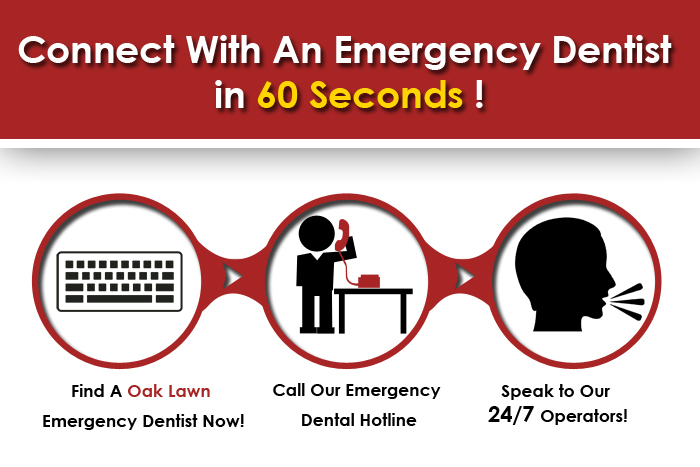 Our portal can help you quickly locate an emergency dentist in Oaklawn IL when the hour is late and you are worried about finding quality help, our referral line can put you in touch with the best in the business. The patients that are calling in from Oaklawn IL are looking for all types of emergency help: from staffing the website and the phone lines, we have been able to see which problems are most common, and how they affect patients. The standard toothache is one of the most serious things that you can encounter; it may be a fracture, abscess, other bacteria infection, or result of being bumped, but you absolutely have to get an expert opinion on it to know for sure. Acetaminophen is a bit better of a painkiller to use in these circumstances than ibuprofen, and you should see a dentist for an x-ray and evaluation for any antibiotics immediately. We have found that the emergency dental clinic is quite similar to the office of a regular dental professional. There is always paperwork that goes with any medical appointment, and you will want to speak to the administrative staff ahead of your appointment and work to fill out all documents before your arrival to make sure you have prompt service. The dental office you visit should be administered by employees who are used to expediting service because of the emergency nature of the visitors to their clinic, so they should move you through quickly. 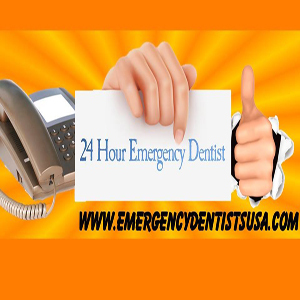 The dental entries here are recommended by E-Dentists USA and each of these emergency dental offices have some type of urgent care consultations as well as evening and Saturday and Sunday care, however, not all of them will be 24 / 7. This database is perfect for anyone to help locate an emergency dentistry office near you, however if you wish to skip the extra work associated with phoning every single dentist, make use of the 24 / 7 phone line we offer and get connected to an urgent care dentist in Chicago city area within a few minutes. Emergency Dentists USA supplies a remedy for what was previously a challenging, time consuming matter. We have taken some time to perform the searching for you through reviewing the emergency dentists in Oak Lawn plus taking out the ones we understand to provide after hours, weekend or evening treatment. This specific market of dental professionals is actually surfaced from a need for their services, individuals are merely struggling to get to a dentist office during their weekday company working hours anymore. Office Various Dental Treatment centers in Oak Lawn, We Refer you! Services Call now, Twenty-four hours a day and seven nights a week to talk with our emergency dentist Oak Lawn IL hotline. Whenever you have a dental unexpected emergency our specialists are here to help you locate the best after hours dental practices in your community. If you need to locate a Saturday and Sunday dental practice, or perhaps a evening dental professional, we are the Oak Lawn IL service available for you. The partners we have developed allow us to become connected with countless urgent care dentists in the United States. Summary Dr. Pallotto has a expertly educated staff that’s respectful and capable to assist you in your emergency dental care needs. 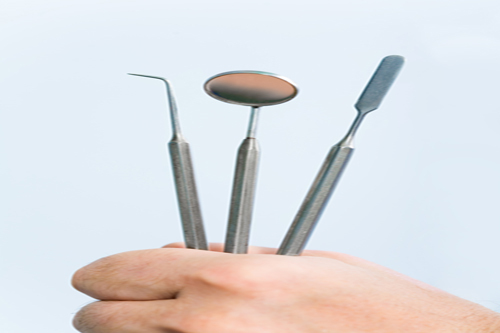 Their staff provide professional services for root canals, dental crowns, and tooth extractions. Summary Alexander Alemis, D.D.S. is looking toward your visit to their particular dentist office and has urgent care dental care hrs, and can agree to fresh patients simply just phone ahead of time. Description Dr. Linda M. Weinfield embraces brand new clients, particularly those searching for immediate care dental treatment, make sure you call ahead of your consultation. We know that there are many referral ports and places on the web out there that only lead you to dentist’s offices that may be closed for the weekend: and we understand that this is when your scariest times occur, as well as your need for emergency services the most! When customers came to us with the need for a portal that could locate an emergency dentist in Oaklawn IL right away, we knew that we should take on the job as a community responsibility. Making sure that those visiting and those that take up residence here have a place to go that will accommodate their needs are our priorities, and we provide the important bridge needed to make that urgent appointment. Make sure to participate in some research of any dental practice you are planning on going to, we advise using Oak Lawn Chamber of Commerce Dentist Page. Find Evanston, IL urgent dental care here.